Threats to our favorite bivalve result in conservation efforts on the half-shell. The murky Aransas Bay water laps gently against a half-finished seawall. An assembly line of volunteers, mostly high school students in brightly colored shirts proclaiming “Sink Your Shucks,” lays the bricks. This seawall, a few dozen yards from shore, isn’t intended to keep anything out. Instead, it invites new life to feed, filter and proliferate. These bricks are bags of cultch, or oyster shells. On this May morning at Goose Island State Park, volunteers have bagged 40,000 pounds of them to be placed in the bay. This event is part of a larger program called Sink Your Shucks, working with area seafood restaurants to collect oyster shells and return them to the bay. Sea to table, and back to the sea. Pollack founded the program as a postdoctoral student at the Harte Research Institute for Gulf of Mexico Studies. Twelve years ago, she moved to Texas with a Ph.D. in marine science from the University of South Carolina to work with Paul Montagna, who told her to take a closer look at Texas’ oysters. “They’re bioindicators of freshwater inflows into the bays,” she says — canaries in the coal mine of inland Texas’ water issues. That scientific observation quickly turned to restoration efforts. “In the last decade, there’s been a lot more attention paid to habitat destruction, and then conservation and restoration,” she says. Droughts, hurricane after hurricane and industrial-scale harvesting pressure have changed the Texas coast and damaged the oysters that grow in its estuaries. Scientifically speaking, this bivalve mollusk is a bioindicator of its ecosystem, as Pollack says. But the charismatic oyster — a symbol for vitality, a muddy bivalve that can produce a pearl as well as a culinary delicacy that can be deep-fried or grilled or served raw on the half-shell — can tell as much about the people who eat them and how those people interact with their place. And as the Texas coast changes, the oyster changes with it. Sink Your Shucks volunteers pass bags of oyster shells down an assembly line to build a reef at Goose Island State Park. “Do you eat them raw?” Refugio Cendejas shouts over the roar of the boat’s engine. He grabs a shucking knife — a dull, dinged-up 2-inch blade — and picks through the basket of oysters on the deck. He selects up a fat one, at least 4 inches in diameter, and pries open the mollusk’s mouth. He chucks the meatless half into the water and hands me the other, its semi-translucent meat glinting in the morning sun. There’s no telling who first discovered this hidden edible bivalve half-buried in our estuaries. Perhaps that’s why I feel a sort of primal sense there on Cendejas’ boat, holding my breakfast in my hand as it continues to pump its colorless blood through its three-chambered heart. But oysters don’t come any fresher, so I bring the muddy valve to my lips and knock it back. Oysters tell a story. That’s why I went out on Cendejas’ boat — I had eaten enough oysters on the half-shell to be curious about their origins. As a native Houstonian with a day off, I had driven to the other side of Galveston Bay to Anahuac County, where I met Cendejas and accompanied him on his workday. We left the docks at Smith Point before dawn, as the fluorescent lights from the industrial complex of Texas City shined through humidity across the water. The oyster had brought me here, I thought. A new perspective on a familiar place. Workers at Jeri’s Seafood shuck and clean fresh oysters. Harvey did a number on oysters in Galveston Bay. Most Houstonians won’t forget August 2017, when Hurricane Harvey dumped a year’s worth of rain on the city, flooding its bayou system and damaging an estimated 69,000 properties. The effects of Harvey reached well into 2018, as many people in Houston continued to restore their lives to a sense of normalcy. After the storm, Tracy Woody, owner of Jeri’s Seafood — one of the largest oyster suppliers in Texas, based in Smith Point — dredged up a bunch of oysters from his private reef. The two valves of each dead oyster gaped open, the meat replaced with clumps of mud and debris. Woody estimates that the floods from Harvey killed over 90 percent of the oysters on his private leases. Even before Harvey, oyster reefs have been no strangers to environmental catastrophes. When I first met Woody in March 2017, he and his staff at Jeri’s Seafood were still mumbling about the damage done by Hurricane Ike, which struck the bay nearly a decade earlier. Six months after Harvey, a rainier-than-usual spring in Dallas kept sending fresh water down the Trinity River into Woody’s side of Galveston Bay, preventing his oysters from recovering until the following season. “You tell me when this rain is gonna quit,” he says when I ask him when he thinks he’ll be back out on his reefs again harvesting oysters. 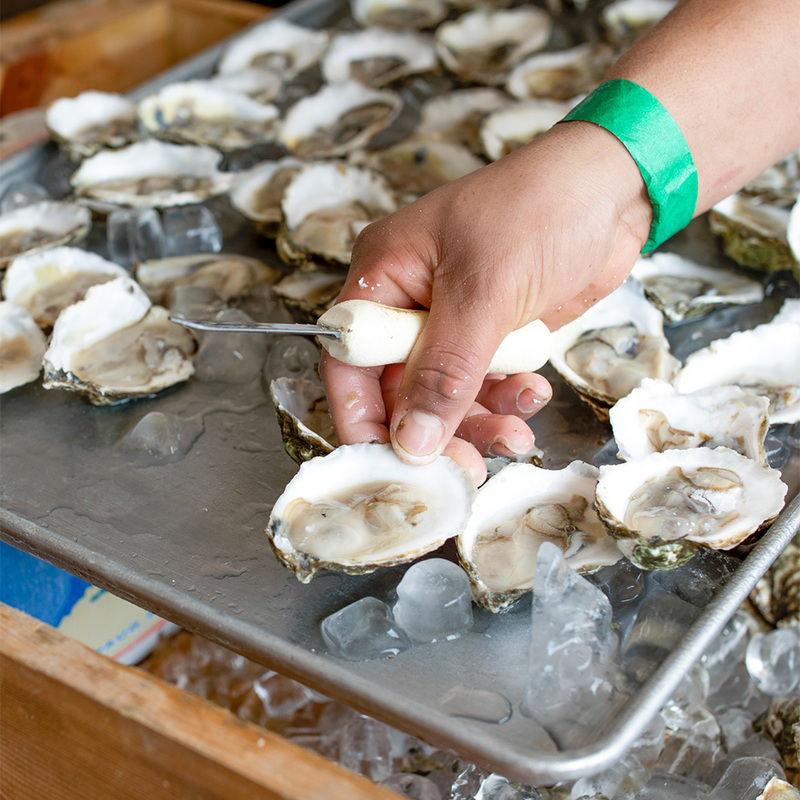 “Galveston Bay oysters are scarcer than they once were,” says Mona Hochman, a research scientist at the seafood safety lab at Texas A&M–Galveston. The heyday of the Galveston Bay oyster population has passed, she told me when I visited her at her lab on Pelican Island, because of long-running environmental changes combined with heavy harvest pressure. In 2008, Hurricane Ike buried reefs in sediment, blocking oysters from phytoplankton and starving many of them to death. More than 50 percent of the oyster habitat in Galveston Bay was lost overnight. The commercial oyster fleet responded by relocating to other bay systems along the Texas coast that naturally support fewer oysters. The increased harvest pressure on these reefs further reduced the overall abundance of oysters in the state. 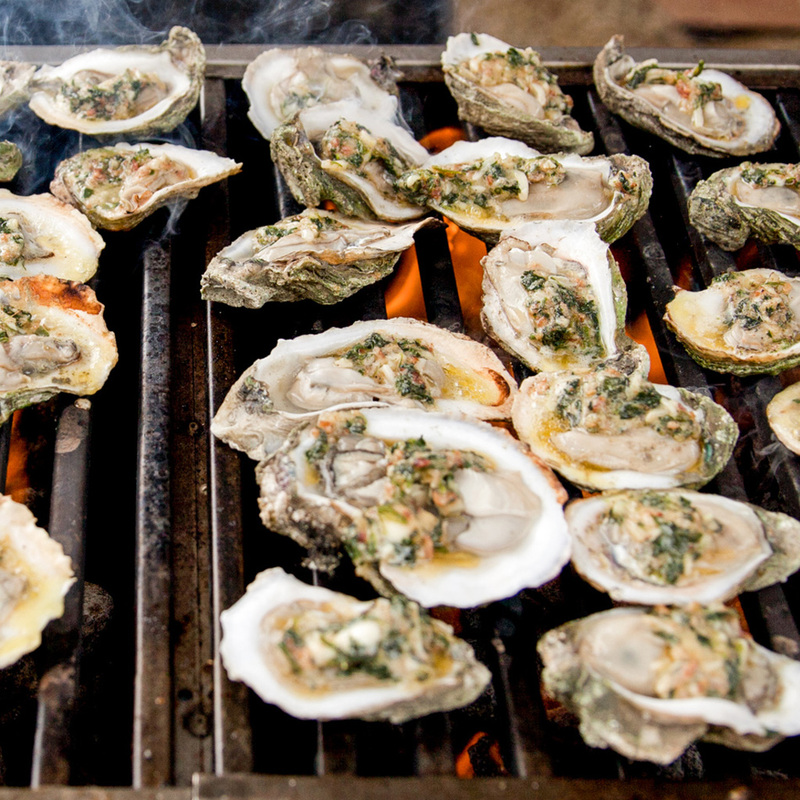 Later, the advent of the Deepwater Horizon oil spill, which resulted in a temporary closure of all oyster harvest from the Gulf of Mexico except Texas, created an even greater demand for the product. The next few years brought record-breaking drought to Texas. Many Texans remember 2011 — the hottest, driest summer on record at that point, which ignited the most destructive wildfire in the state’s history in Bastrop County. The oysters felt it too. Increased evaporation and a low influx of fresh water increased the salinity in many of Texas’ estuaries. The balance between salty and sweet is a reference to where oysters grow. River deltas — where fresh water meets the ocean — create a window of salinity (the amount of salt in the water) primed for the oyster. As salinity levels rise, oysters become noticeably brinier and more vulnerable to saltwater predators. Then, Harvey hit the coast. Even without this series of intensifying droughts and floods, oysters have contended with another formidable force that threatened their numbers: our increasing appetite for them. 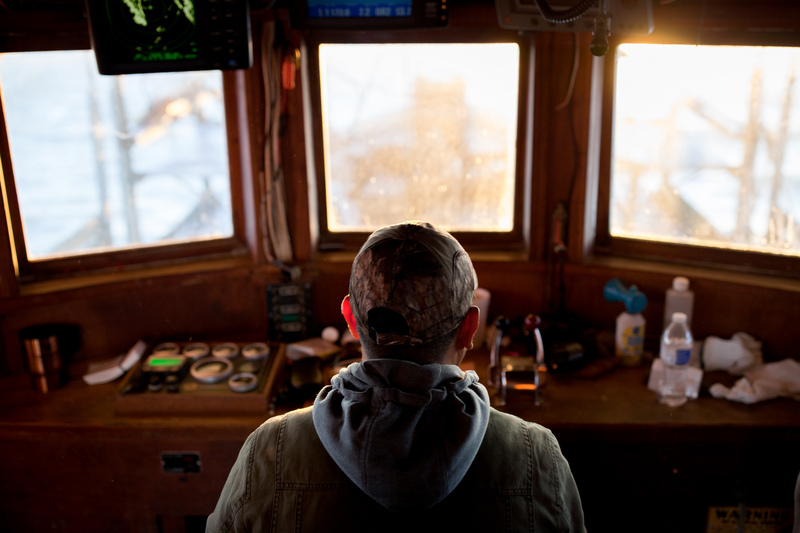 A decade ago, oyster harvesters, both commercial and recreational, spotted Texas’ bays from sunup to sundown, seven days a week. 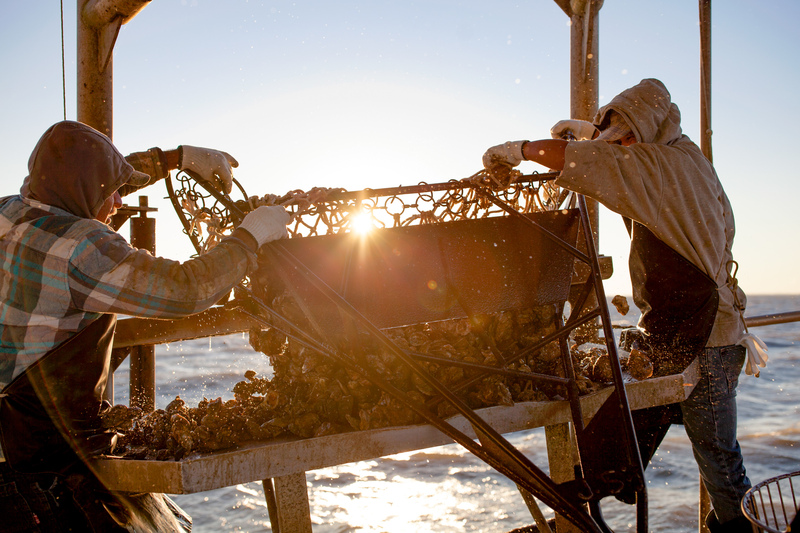 At one time, each boat could bring home up to 150 sacks per day — each sack containing about 250 oysters. When I went out on the bay with Cendejas, he finished his day at about 25 sacks, though the limit that year was 40. Last season the limit dropped to 30. In addition to sack limits and legal fishing days, the Texas Parks and Wildlife Department also regulates the size of the oyster that can be harvested. The greatest length of the shell must be 3 inches or larger. Anything smaller should be thrown back for next year’s harvest. But with rules come rule-breakers. Game wardens wrote more than 300 citations in the 2017-18 season. “I am appalled that some in the oyster industry continually fail to recognize how impactful their actions are, not just relating to future commercial oyster harvests, but to the overall health of our incredibly fragile and sensitive bay systems,” says Col. Grahame Jones, TPWD law enforcement director. Taking all this into account, it’s no surprise that the price of Texas oysters has doubled over the past two decades. 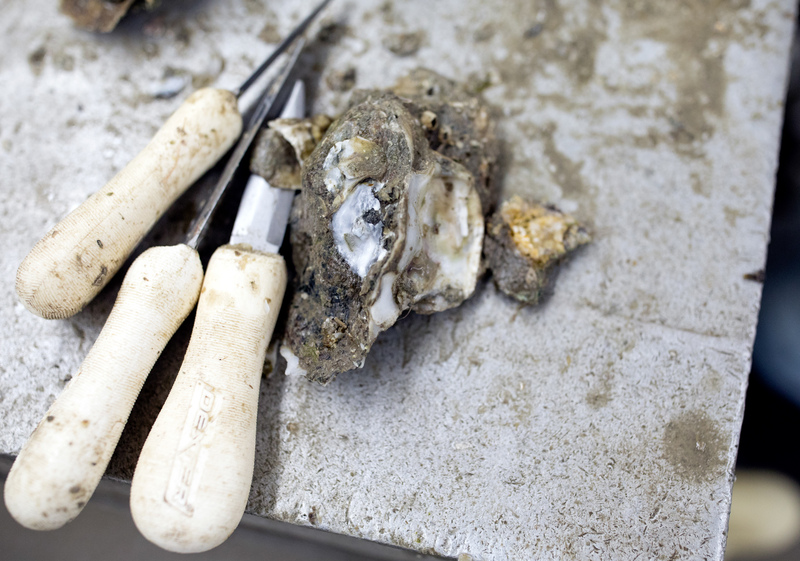 Shucking knives and a fresh Galveston Bay oyster. At Goose Island State Park, Tarkington picks up a rough oyster shell from the pile to be bagged. But the Sink Your Shucks program and others like it, says Tarkington, are a start. The Goose Island restoration project won’t restore oysters back to heyday numbers. But on that small beach in Goose Island State Park, it may cultivate a sense of place, a connection between people of the coast and the coast itself. 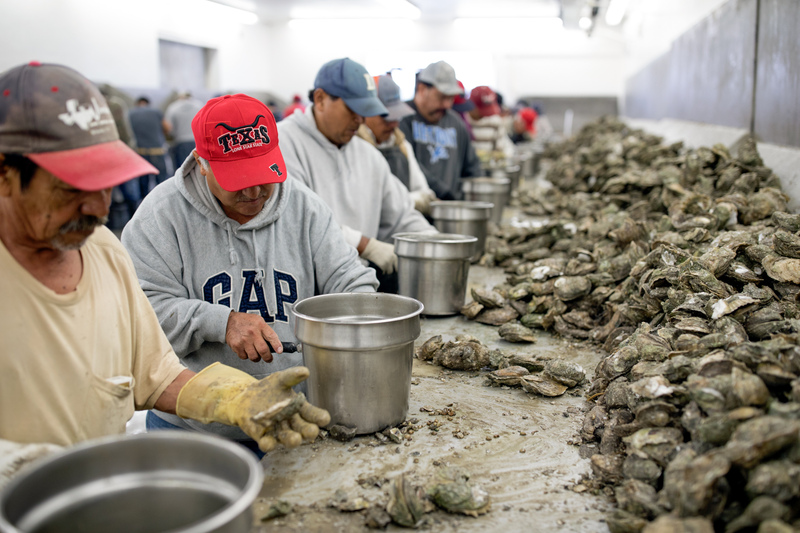 With leadership from the 85th Texas Legislature, industry is also playing a major role in oyster restoration efforts. The passage of House Bill 51 included a new requirement that oyster dealers return 30 percent of the total volume of oysters purchased in the previous year to oyster reefs in Texas bays. Returning these materials will further enhance the many ongoing oyster restoration efforts in Texas. 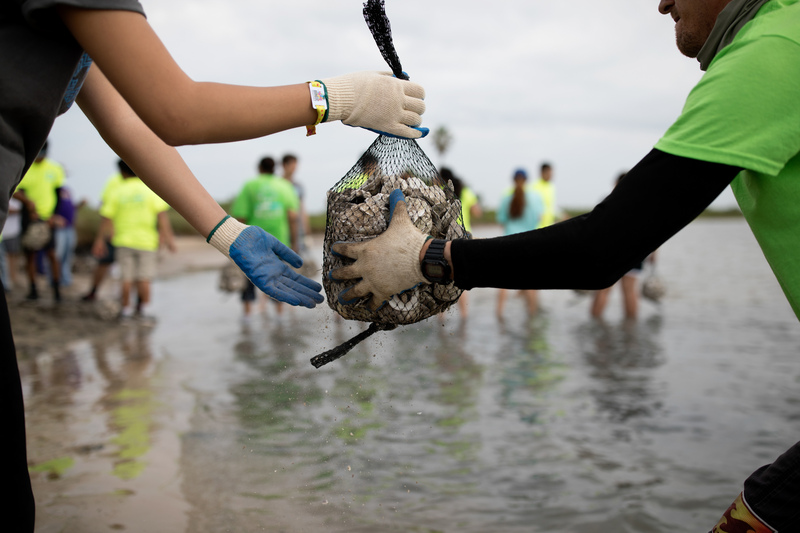 Since Hurricane Ike in 2008, TPWD and several partners across the state have invested $20 million to restore more than 1,700 acres of oyster habitat. A band plays smooth jazz from the stage at Austin Oyster Festival. On a cloudy Saturday in late February, I stand in line for a tray of raw oysters by the half-shell, though I am tempted to try oysters Rockefeller, or the oyster banh mi. Emily Horvath, one of the organizers for the event, tells me that her new favorite way to eat oysters is the oyster shooter: an oyster in a shot glass, with cocktail sauce and Deep Eddy vodka and a lemon garnish. Texas oysters with Texas vodka, she specified. A week later, a different band plays old-time country from a stage on the Fulton boardwalk. I had driven down to the small coastal town last year for Fulton Oysterfest and decided to come back, perhaps to spark a spring tradition for myself on Fulton’s 39th year doing this festival. My options are raw in the half-shell with Tabasco and saltine crackers, or coated in cornmeal and deep-fried in peanut oil. I opt for raw. 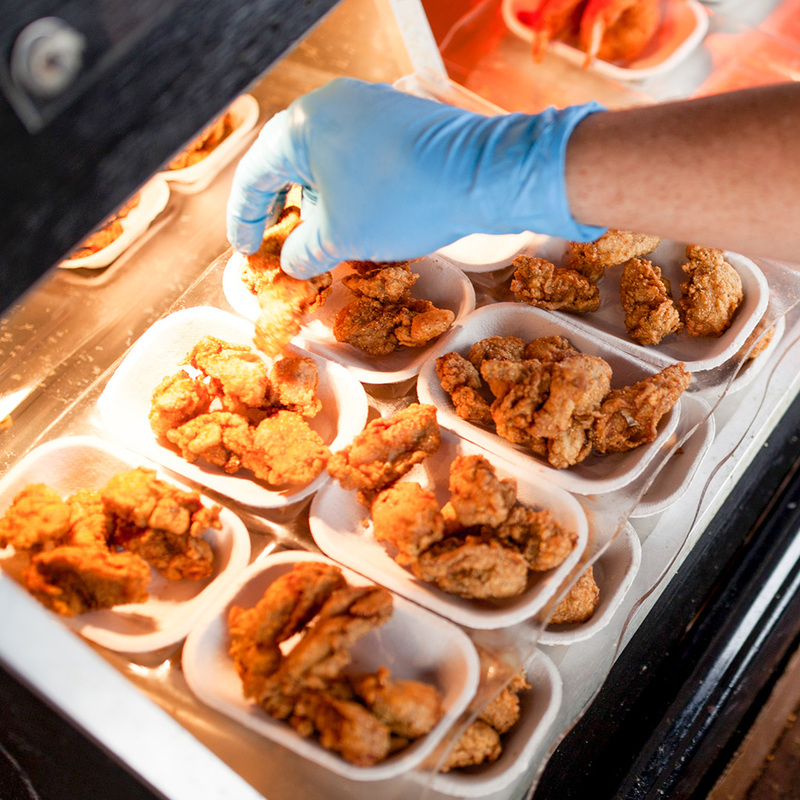 The line at the deep fryer is too long. 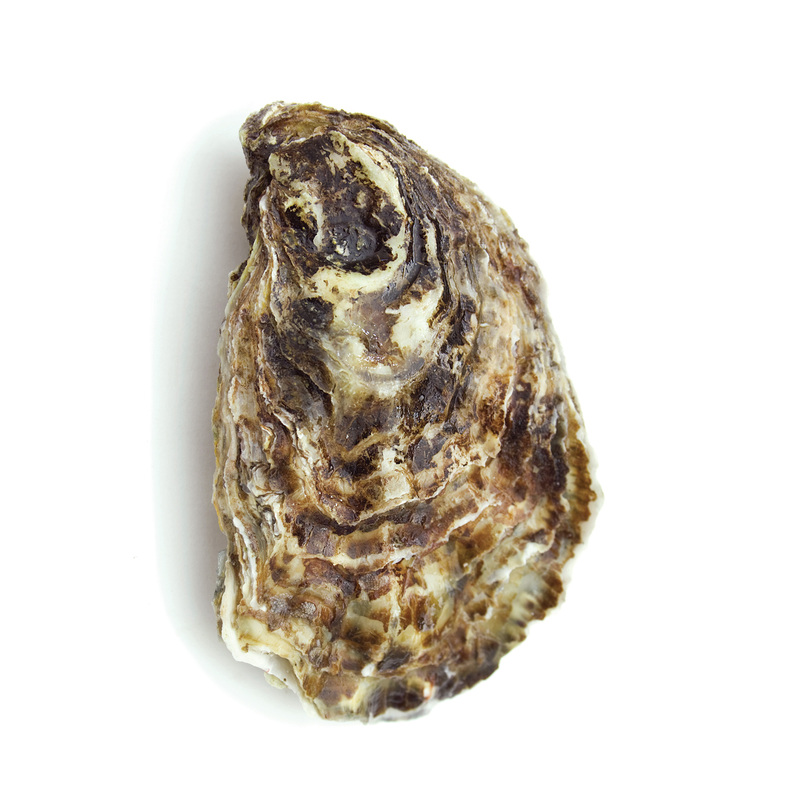 The oyster is one of those foods that can adapt to any culinary tradition, any sense of place, as long as it’s connected to the coast. The question remains how far its community of harvesters, shuckers and oyster lovers will adapt alongside it. I take a seat with my back against a Ziegenbock Brewing advertisement: a glistening bottle of amber beer displayed like a pearl on the pink bed of an oyster shell. The pedal steel guitar gives an old-time country wail beneath the singing seagulls, as I use a plastic fork to scoop the oyster to my saltine, add a dash of hot sauce and take a bite. Austin Price is a Texas journalist focused on science, wildlife and agriculture.